If there’s one celebrity gossip niche I truly appreciate, it’s Stars Wanting Real Estate They Can’t Have. (Yes, I am thinking specifically of Katy Perry’s years-long crusade to live in a convent.) 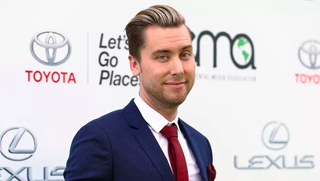 And while the scale of Lance Bass’s battle with HGTV to buy the the Brady Bunch house is much smaller (no nuns died in the process, for example), it’s still always nice to report a happy ending where there is one. It’s not yet known what Lance’s role will be, but maybe it’s the kind where they give you a chair with your name on it placed very, very far from the actual set. Or maybe it will be explaining to upset neighbors that it’s okay that their lives are being ruined by the constant din of construction and gawking tourists, because he is smiling again, and his happiness is the most important thing of all.